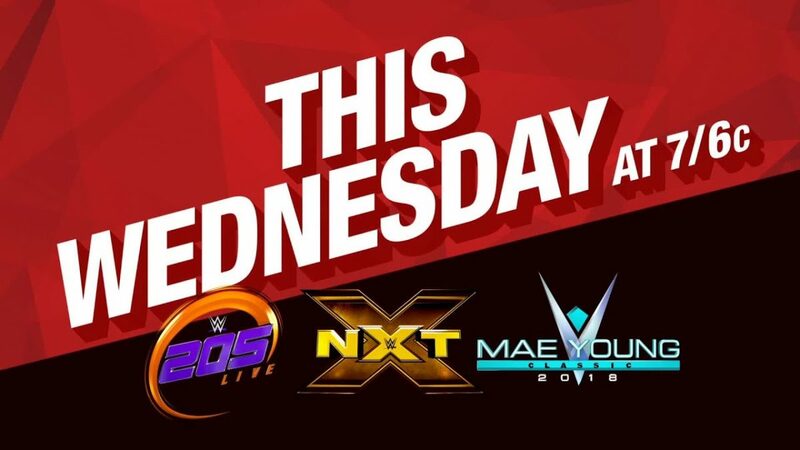 Below are previews for 205 live, NXT and the Mae Young Classic airing on the WWE Network beginning at 7/6 C.
Tonight’s WWE 205 Live was taped last night at Bankers Life Fieldhouse in Indianapolis, Indiana. * How will the Cruiserweight division shift with Buddy Murphy as the new champion? How will Cedric Alexander react to his stunning defeat? * Mike Kanellis, Maria Kanellis and others will also appear tonight. * Will Velveteen Dream have an answer for Tommaso Ciampa? * What does Nikki Cross know?